If there's a time of year I love more than Christmas, it's definitely Halloween! 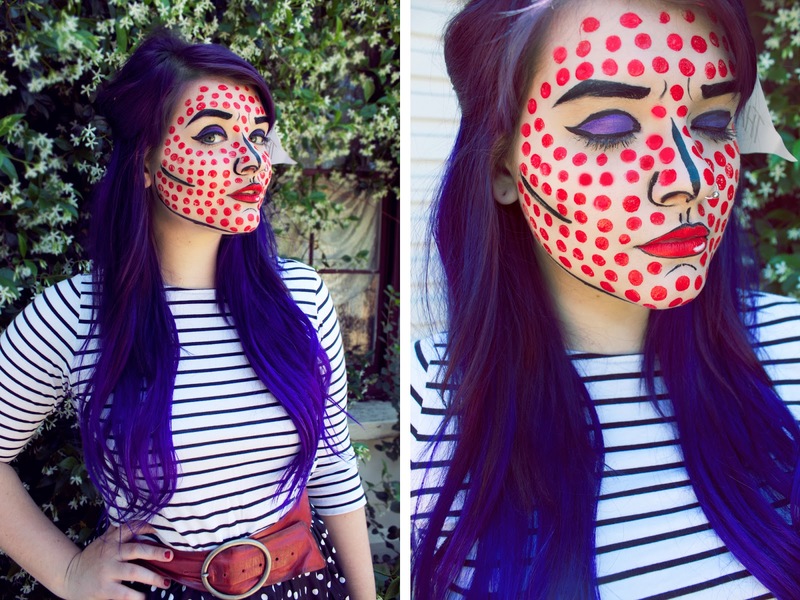 I've been wanting to give Pop Art inspired make up a try for a while now, so I decided to make my first entry in LookBook's annual Halloween costume contest a Roy Lichtenstein inspired look (if you have LookBook, I'd love it if you could hype my entry!). I'm by no means particularly skilled in the make up department, so the full face took me about an hour and a half - those dots are near impossible to make even! I watched this YouTube video for some direction, but left out a couple of steps such as the wig seeing as I already have a Pop Art-style hair colour. I did a loose, wavy beehive style hair do, and combined with the striped shirt I was feeling a bit like a technicolour Brigitte Bardot. I have a couple of other costumes (one for work, one for a party) to share over the next week, and I'm really excited for you all to see them! I've been working on one of them for a number of weeks now and I seriously can't wait to wear it, it's one I've wanted to do for ages now and I'm so stoked. How are you guys going with your Halloween prep? 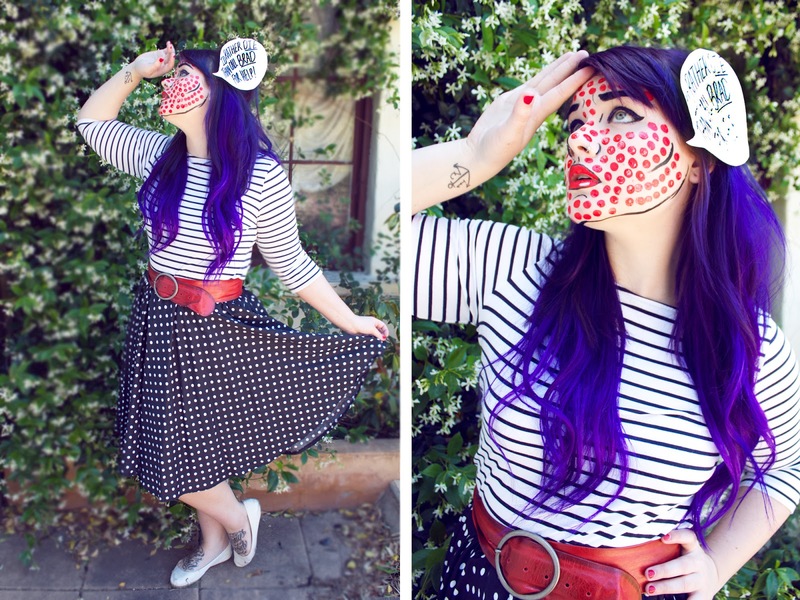 Will any of you be trying the Pop Art look? pretty. such a pretty costume. 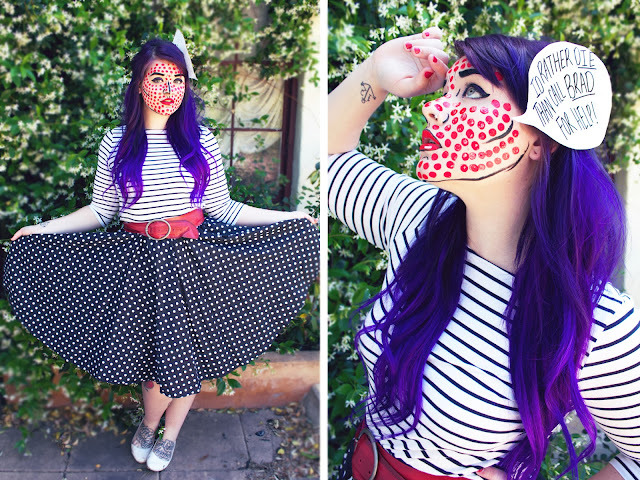 I've always wanted to try something like this.